Hong Kong (AP) — U.S. Secretary of State Mike Pompeo has urged China to disclose the details of people killed, detained or missing during the Chinese military’s crackdown on pro-democracy protesters centered on Beijing’s Tiananmen Square 29 years ago. 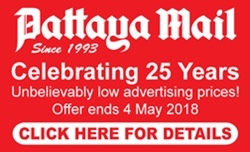 Hundreds, if not thousands, of unarmed protesters and onlookers were killed late on June 3 and the early hours of June 4, 1989, after China’s Communist leaders ordered the military to retake Tiananmen Square from the student-led demonstrators. The topic remains taboo in mainland China and any form of commemoration, whether public or private, is banned. 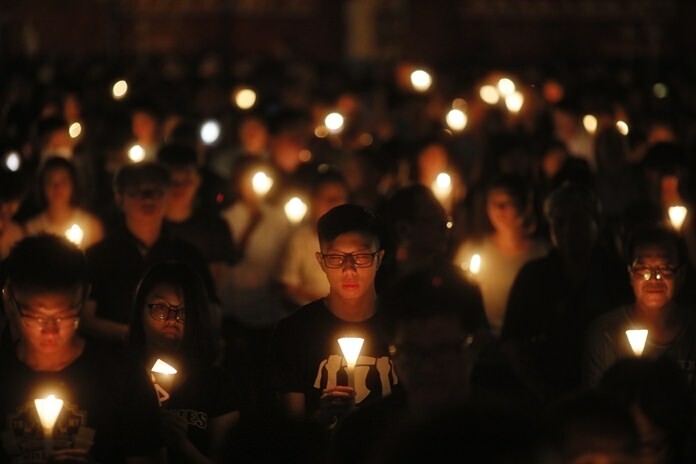 In Hong Kong, however, tens of thousands of people gather every year in Victoria Park on the evening of June 4 to remember the victims in the only large-scale public commemoration held on Chinese soil. Organizers of this year’s vigil estimated 150,000 people attended, but Hong Kong police put the figure at 17,000. Speakers in the park Monday night called for an “end to one-party dictatorship” despite warnings from pro-Beijing officials of potential repercussions. Albert Ho, chairman of the Hong Kong Alliance in Support of Patriotic Democratic Movements of China, the organizer of the vigil, said people in semiautonomous Hong Kong enjoyed the right to advocate for more political rights. The former top Beijing official in charge of Hong Kong’s affairs said in April that people who call for an “end to one-party dictatorship” are breaking the law and should be barred from running for political office. Concerns have grown in Hong Kong that Beijing is eroding civil liberties there despite promises to maintain them following its 1997 handover from Britain. In his statement, Pompeo called on Chinese authorities to release those who have been jailed for their efforts to keep alive the memory of the crackdown and to stop harassing the protest’s participants and their families. He cited the Chinese dissident Liu Xiaobo, who wrote in his 2010 Nobel Peace Prize speech, delivered in absentia: “The ghosts of June 4th have not yet been laid to rest.” Liu last year became only the second Nobel Peace Prize winner to die in police custody. “We join others in the international community in urging the Chinese government to make a full public accounting of those killed, detained or missing,” Pompeo’s statement said. The Chinese foreign ministry said it was “strongly opposed” to Pompeo’s statement, calling it an interference in China’s internal affairs. “We urge the U.S. to abandon its prejudices, correct its mistakes, stop making irresponsible remarks and interfering in China’s internal affairs,” said ministry spokeswoman Hua Chunying at a regular briefing. While mainland Chinese are only dimly aware of what happened at Tiananmen Square nearly three decades ago, the subject is openly discussed in Taiwan, a self-governing island democracy. Taiwanese President Tsai Ing-wen said she hoped Beijing would confront its past. “For several decades, the Chinese mainland has never stepped out of the shadows of this historical tragedy,” Tsai wrote in a Facebook post. “I sincerely believe that if the Beijing authorities can face up to the June 4 incident and recognize the state’s violence at its essence, the unfortunate history of June 4 will be the foundation of China’s liberalization and democratization,” Tsai wrote.